It is confession time here at Chez Angel. When in elementary, middle and high school I was the student that could not stand PE class. I hated running, jumping, and climbing. The weeks that we did gymnastics I would cringe. Just the thought of getting sweaty and having to change made me physically ill. Through the years I have always made excuses about not having time to work out. Several years ago I was lucky and lost a lot of weight with Weight Watchers and never did anything above and beyond that. This time around sticking to points did not cut it. I was older and my metabolism had changed after my second pregnancy. As I have previously mentioned on my blog, I finally found a workout that I really like. Leslie Sansone makes a Walk at Home DVD series. Sure walking sounds easy, but Sansone makes you move and use all of the muscles in your body. Over the last few weeks, I have grown to love these daily workouts and actually get upset if I skip a day. 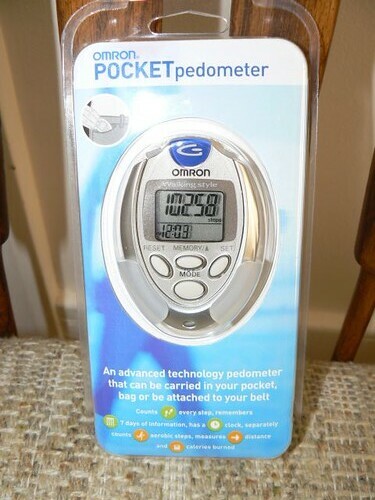 My new Omron HJ-112 pocket pedometer finally arrived on Tuesday. I quickly calibrated it and put it on. After a few hours I had 1,508 steps. Then it was time to do a 3 mile workout with Leslie Sanson. In 45 minutes I was able to do 39 minutes of Aerobic moving and 4,083 steps! So in the few hours that I wore the pedometer I had almost 6,000 steps. Wednesday I wore the pedometer the entire day. In the morning, while I finished up my laundry and the little guy slept, I put The Biggest Loser on my DVR and watched it while power walking. I walked for 51 minutes (Aerobic according to the pedometer) and did 6,195 steps. Later in the day, the boys went outside to play. I stayed inside for part of it and did 3 of the Fat Burning Miles with Leslie Sansone. That was another 38 minutes of Aerobic exercise and 4,144 additional steps. For the day I had 13,394 steps. I am hooked and love this handy dandy little gizmo. It motivates me to do more and lets me keep track of what I have done during the day. I can not wait to see how many steps and miles I log while at Disney World. Have you ever had a pedometer or thought about buying one? If you have used one, do you find that you walk more when you use it? i have one. it’s pretty nice. and it’s still in the box. I own the same pedometer! I adore Leslie Sansone and yes, I pay more attention to how much I walk. I used to wear one daily when I taught PE. I was AMAZED at how much I walked. I could not wear one now… I would be DEPRESSED if I did so! I had one before, but I’m not sure if it was calibrated right, so I stopped using it. I have had a couple although I have never used any of them. I keep thinking I will but … Maybe I’ll have to look into this again. I have several, but I haven’t used them. I really need to start – thanks for reminding me! JenReg’s last blog post..Mother’s Day Week of Giveaways Preview and Extra Entries info! Yes, I pay more attention when I am actually wearing it! Yes, I think it encourages you to walk more when you’re wearing a pedometer. They say 10,000 steps/day is good for health. Recently, in D.C., I walked between 12-15 miles each day! I tried one once but it must not have been very good because it constantly reset itself. So it never really had an effect on me. I have one but I don’t really use it unless I’m doing laps at the track or something. And, when I use it, I constantly check it!! Heather’s last blog post..Casual Friday Vlog! I have one and used it in the beginning. Now it just sits there in my drawer! I should start using it again. no, but I think if I had one it would force me to walk more. I have one, I think I used it only once. 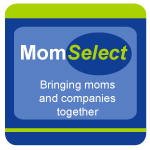 I have never had one, but it’s a very good idea..
My son has one and uses it all the time. I’m often amazed at how ‘far he’s traveled’ throughout the day! I had one during my last pregnancy. I had gestational diabetes and needed exercise. I found that I walked more because I had set a specific number of steps that I wanted to take each day. yes, I have worn them. 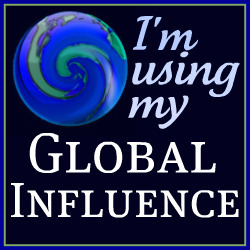 I posted about it on my Fit Sit http://ready2getfit.blogspot.com (look in pedometers archive) I found it hard for me. It would not register. blogged about that. I do think, if it works ,it will push you to do more. Increasing the the number will help encourage your activity. 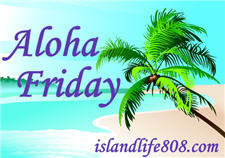 Auntie E’s last blog post..Aloha Friday#6- Fragrance of Remembrance. I would love to get one. Maybe I’ll do that this weekend. I have the same pedometer as you do! Love it, and wore it all the time until about six months ago, when my son lost it. Then, after I got out of the habit, I could never seem to get back into it. Oh man…I don’t even want to know the total number of miles that I run each day chasing after these kids – haha! I have a WW pedometer, it’s pretty cool as it tells you how many actiivty points you get for the amount of steps you’ve taken – it has 2 modes, one for while you’re actively walking to exercise and one for everyday activities. I haven’t used it in a while but I have found I do take more steps when I have it on. I like to wear it to places like museums or when we’ll be doing a lot of walking just to see how many steps I took. You sound like you’re doing great with your new exercise routine, I just wish I could get back into it! I know I’m busy but it’s no excuse. I love pedometers! I have one that I used to wear all the time and I ABSOLUTELY walked more because of it! I even did laps in the kitchen, all in the goal of hitting 10,000. Good luck and enjoy!! I love pedometers..but I always lose them!!!! lol I definitely walk more when I wear one!! My husband use to wear one but I have never. I probably should because just like you, it would motivate me. I love the Biggest Loser, one of my favorite TV shows. I have never owned one, but I like the idea of it! Yes but it isn’t like your cool one. Oh and the battery is dead. Must replace battery! Thanks for the reminder. I don’t own one, but I’d like to get one! I think that’s a cool gadget especially for people who loves walking. I’ve never had one before. My husband uses a pedometer, but I wouldn’t say it makes him walk more – it just lets him more accurately keep track of how much he is walking (and how much I’m walking if I’m with him).